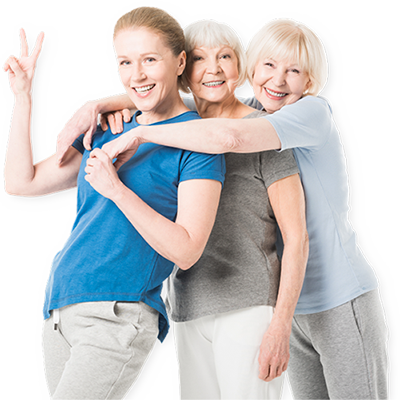 SilverSneakers is a free fitness program for older adults that comes with select Medicare-related insurance plans. If your insurance plan has SilverSneakers, you get access to every gym that participates in the plan. While SilverSneakers is a nice perk that some companies will include in their policy, your selection of a health insurance plan should NOT be based off the perks. Many times, we experience seniors buying a plan solely because it includes the benefit, and they completely ignore the potential disadvantages that come with the plan. They end up being very disappointed in their coverage when they experience a hospital stay or a surgery. Always remember that you’re buying the insurance for the health coverage, not the perks. Think of the SilverSneakers program as an added bonus. So, with SilverSneakers, you can participate in group classes that are tailored to seniors and taught by certified instructors. These classes can include total body conditioning, circuit training, yoga, and pool exercises. If group fitness classes don't interest you, you may also use the fitness equipment on your own in most facilities. More and more companies are looking at offering some type of wellness plan like this, because the healthier we are, the fewer insurance claims there are. Are there SilverSneakers facilities in Decatur, IL? At the time of this writing, the end of 2017, there are 7 gyms and fitness centers within about 25 miles of our downtown Decatur office. If you live farther out, you can check your city or zip code on the SilverSneakers website using the location tool. If your favorite local gym doesn’t offer the SilverSneakers program, let them know you’re interested! Which Illinois insurance carriers participate in SilverSneakers? In Illinois, there are only a few insurance carriers that participate in SilverSneakers, and most of them are Medicare Advantage Plans. Out of this list, the only Medicare Supplements that come with SilverSneakers are AARP and Humana. What is the disadvantage of SilverSneakers? We explained earlier that some seniors get so excited by the perk of SilverSneakers that they don’t actually look at the merits of the insurance plan. You have an “approved network,” which means your “approved” doctor might be 45 minutes away – your choices of doctors and care is very limited. Your plan’s benefits can change from year to year, making your coverage unreliable. Medicare Advantage Plans come with high deductibles and co-pays that can range from $3,400 to $6,700. It can be hard to switch to Medigap later on. Your deductible would be less than $200. Many individuals enroll in Medicare Advantage just for the perks, such as SilverSneakers, but the limitations and actual costs of this plan can outweigh the perk of a free gym. Do Medicare Supplements come with a wellness or discount program? We did mention that AARP and Humana Medicare Supplements come with SilverSneakers, but it’s important to compare the prices of each plan. We represent dozens of carriers, and it’s likely that another plan could save you a lot of money. The savings often outweigh the cost of a free gym membership. However, Cigna’s Medicare Supplement does come with a complimentary wellness program called Silver&Fit, which includes discounts and access to local gyms. You can go to their website to check which gyms are available in your zip code: https://www.silverandfit.com/. Blue Cross Blue Shield also has their own wellness program called Blue365, which has lots of discounts for Medicare Supplement policyholders. You can browse the discounts here: https://www.blue365deals.com/. While free perks are nice – really, who doesn’t like a free perk? – it’s important that you don’t base your choice of insurance coverage on a wellness benefit such as SilverSneakers. Treat this as a “nice-to-have” benefit – not a basis for selecting your insurance plan. If I’m eligible, how do I use it? To get started, enter your information into the SilverSneakers website: https://www.silversneakers.com/, and print your membership card. After that, we recommend finding a gym location on their website and calling ahead to confirm. The facility will either tell you to come in anytime, or they’ll schedule a tour with you. Which Decatur, IL (and surrounding areas) gyms are the best? 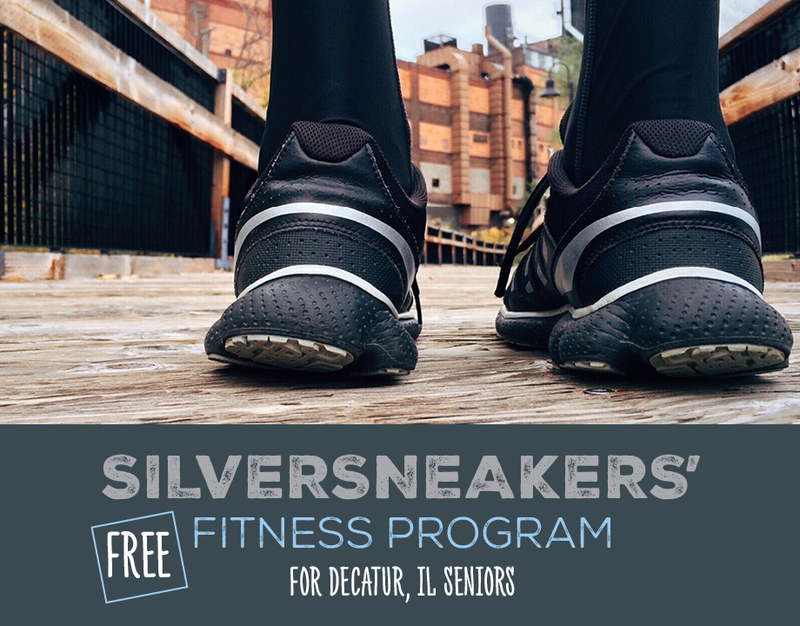 We spoke with a few local facilities that participate in the SilverSneakers program, and we have the details for you, such as what’s included with the program and what you should expect. Sara Hoban, Director of Membership & Marketing at the Decatur Family YMCA, explained that SilverSneakers has been very successful at their facility. Sara added that SilverSneakers participants have the same membership benefits as non-SilverSneakers participants. Also, even though their SilverSneakers classes are designed specifically for the needs of those in the program, they are not offered strictly to SilverSneakers program participants: all members are welcome to take the classes. The Decatur YMCA also has a variety of member engagement activities that SilverSneakers program participants are welcome to attend, such as potlucks, guest speakers, nutrition classes, special events, fitness challenges, contests and more. Melissa Rinchiuso, the Membership Coordinator at the DISC, explains that if you participate in the SilverSneakers program, you can come in and get a free pass for full facility access. That includes their track – the longest indoor track in all of Decatur, the full fitness center, member events, and 2 fitness classes – Chair Yoga and Forever Fit 55+. Starting January 1, 2018, all fitness classes will be included with the SilverSneakers program. Melissa explained that it takes 5 minutes to sign up. Simply bring in your SilverSneakers pass or check your eligibility at the desk. Lockers are free to use, and there are surprise member days, giveaways, and Bingo games to keep things exciting and fun. If you don’t have SilverSneakers, Melissa explains the “Fit 3” program, which is for adults ages 55+. It’s free to sign up, and it includes a free assessment, a free newsletter, and a free 3-day pass to try out the gym. There are also 28 discounts with employers in the area, and the DISC also honors retired workers, so if you work at or have worked at one of the approved employers, you’ll receive a discount. A few examples of these employers are the Decatur Park District, Decatur Public Schools, and ADM.
LaKeysha Greenwood, manager of Snap Fitness in Forsyth, told us that all you need to join is a valid ID and SilverSneakers verification card. SilverSneakers pays 100% of membership dues. You are only responsible for paying some one-time fees, including $20.00 for a global access card and an $8.95 enrollment fee. Snap Fitness is a 24/7, self-serve locked facility. All members are given a global access card, allowing them access to any Snap Fitness nationwide. They offer cardio equipment, strength training machines, and free weights. Personal training is available at additional cost, and it’s not covered by SilverSneakers. SilverSneakers members are required to swipe their badge at the facility at least 8 times a month to remain qualified for the 100% discount. So, even if you’re walking in behind someone that is holding the door, you still must swipe your badge in order for your access card to register in the system and count towards attendance. Jeff Lane, Manager of Your Time Fitness, explains that many members use the SilverSneakers program in order to receive a free membership. He says that depending on the type of policy you have, you might get the whole membership up front, or you may pay month-to-month and receive a reimbursement each month. Your Time Fitness has a yoga class along with a variety of machines, cables, free weights and treadmills. Jeff explains that he can show you how to do the exercises on all of the machines. “Safety is my priority – I want to make sure people don’t hurt themselves and know how to properly use the machines,” he says. Jeff also puts a routine together for you based on any health conditions you might have. “We can work around anything,” he says. It is recommended that you come 10 times per month, but there’s no official minimum. You can come as often as you like. There is a $5 per month charge in order to use a fob for the door, which gives you the 24 hour access. Lori Henry, the owner of Curves in Monticello says that she’s participated in the SilverSneakers program for a number years. Women of all ages are members, but the 65+ crowd is certainly growing. If you’re eligible for SilverSneakers, all you need to bring is yourself. Lori explains that you don’t even need your card. Just tell the receptionist your name, and they’ll look you up in their online portal. As a member of SilverSneakers, the $99 enrollment fee is waived, and your monthly dues are paid for. You don’t have to make any insurance claims or anything like that. Simply scan your membership card to show you’re working out. To keep your membership active, try to do at least 2 workouts a week, or 8 workouts per month. To keep you motivated, Lori explains that each month, there’s a drawing for free gifts. From mugs to socks, the gift is a fun surprise every month. The only cost involved would be if you’d like to upgrade to the Curve Smart coaching system. It’s an online system that helps you review your workouts and get personalized coaching tips, which costs $5 per month. The workouts are 30-minute circuits, and they’re for all fitness levels. They include strength training machines and recovery, and you’ll get both a cardio and strength workout. Lori says that this circuit really helps with joints, arthritis, diabetes, high blood pressure, and more. Her most popular class for the senior age range is actually the balance class, which helps with core strength. If you’re not in the Monticello area, Lori explains that the Curves in Tuscola, Rantoul, and Savoy are also part of the program. Ryan Jones, a Strength and Conditioning Director at The Fitness Center, said those who qualify for SilverSneakers are entitled to a free membership, and they have access to all three of their locations (Champaign, Tuscola & Monticello). Membership includes all of their group fitness classes and SilverSneakers classes as well as 10% off any personal training or wellness coaching. The only charge to their members is a $10 deposit on a key fob that will open up the facility doors. There is no limit to how many times you can visit, but at the beginning of the month, they give out gift cards for a free entree at Za's Italian Cafe for those who have visited 10 or more times in the previous month. That is their “little push” to make sure members come in and exercise as much as they can. She confirmed that SilverSneakers members have full access to the facility as often as they wish and are simply asked to scan their card upon arrival. They also offer some free nutritional programming, sponsored by the U of I extension office. All of their fitness instructors are certified in various areas and all are CPR/AED certified as well. What’s next? Get in touch with us to find the best plan that fits your budget, needs, and lifestyle. 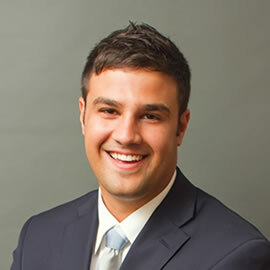 We find insurance agent Luke Hockaday very professional and knowledgeable . He has been in our house and is very respectful.